Deck Depot offers professional design and installation of vinyl decks in Edmonton. Since 2004, we have been helping clients construct high-quality outdoor features that increase curb appeal and add value to properties. 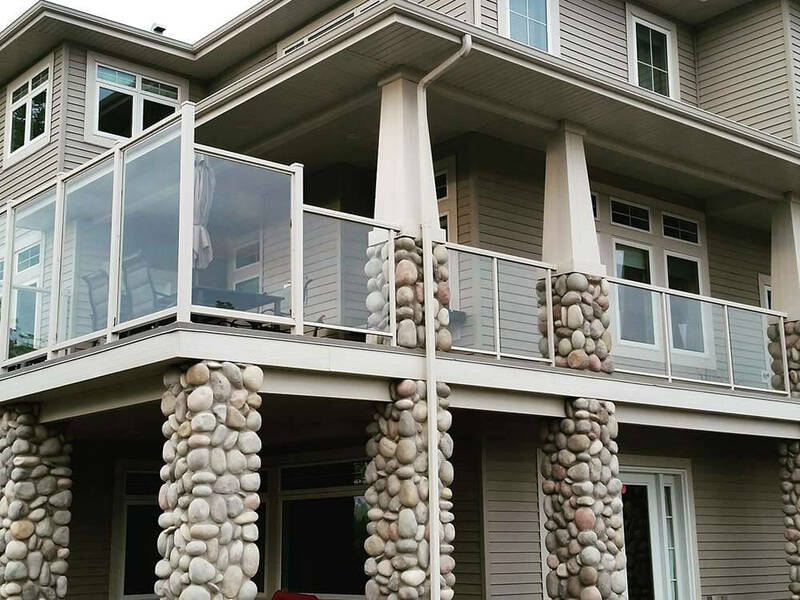 Whether you are a homeowner putting in a front of house seating area or a business owner in need of a stylish new stair railing, we have the experience and skills to get the job done. All our work and materials are guaranteed and our superb record of happy clients means we have achieved an A+ rating from the Better Business Bureau. We are also covered by Workers’ Compensation Board of Alberta. Contact us today to experience the Deck Depot difference! Add curb appeal and value to your property with a new deck. We have photos of our past completed jobs in our online portfolio. Our quality is top notch. That’s why we are excited to partner with DekSmart Vinyl Products to offer the finest color and pattern selection available with exceptional waterproofing capabilities. Designed to improve the look and performance of your outdoor sundeck, DekSmart Vinyl Flooring Systems are fully engineered and tested to conform to the highest of building code standards. Check out their website for information or to select your vinyl colour.